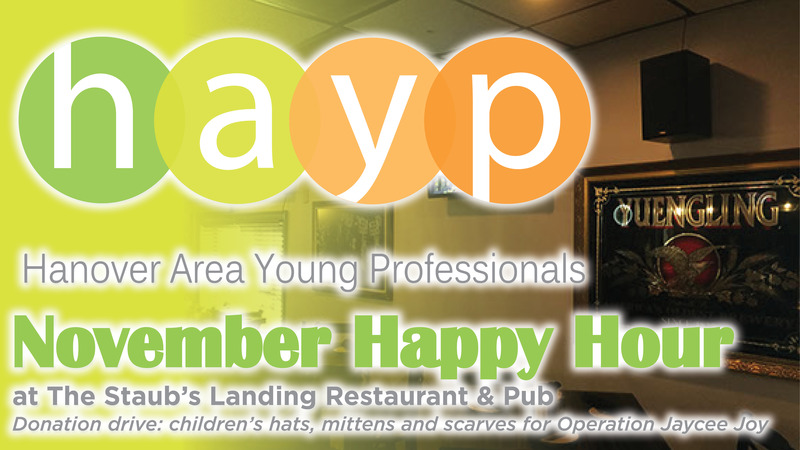 In November we'll be at The Staub's Landing Restaurant & Pub for our monthly happy hour. Come and network with other young professionals in the area. The Hanover Area Jaycees will be joining us as well. As in past years, we are doing a donation drive for new children's hats, mittens and scarves for Operation Jaycee Joy. Jaycee Joy provides Christmas gifts and food for local children in need, and hats/mittens/scarves on on their list every year. We are also collecting new and gently used coats (men, women and children's) for Coats of Friendship. Please consider bringing something to add to our donation box!